Just Jingle: Die Cutting in the Moxie Fab World. And Orange Glitter. Because I like Orange Glitter. 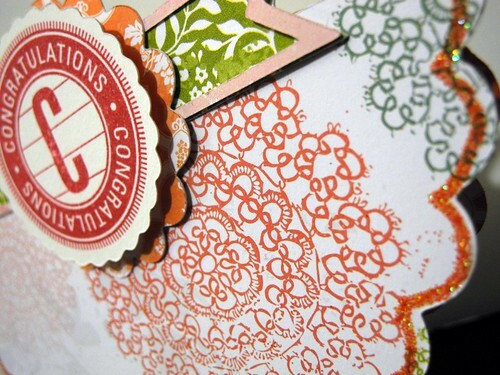 Die Cutting in the Moxie Fab World. And Orange Glitter. Because I like Orange Glitter. Particularly THIS orange glitter! I mean, REALLY, here folks! This stuff is seriously fabulous! It's Iridescent Sorbet from Martha Stewart and I think I'm in love. Can one fall in love with a glitter color? Well, I did. 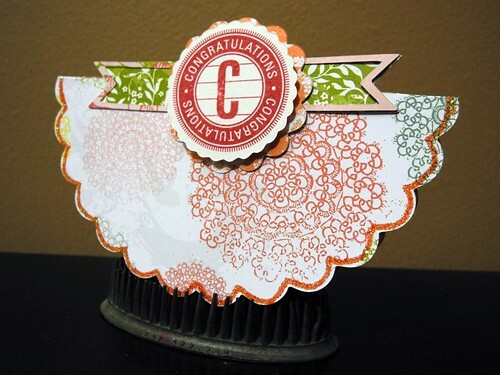 Anyway.... this card is actually about the die cutting, as I created it to participate in the Die Cutting Challenge in the Moxie Fab World! YAY! Really, Sally the Cricut did all the work for this baby...I just made the choices! Sally and her Art Philosophy Cartridge went to TOWN for this baby! 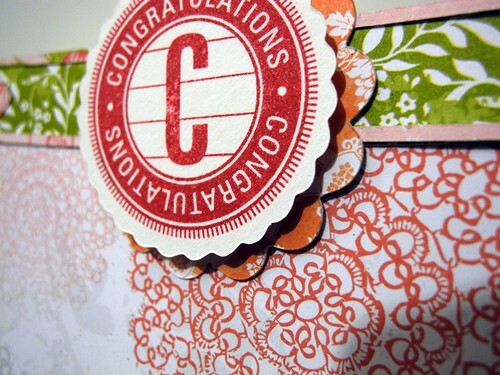 I began by die cutting the card from super cute patterned paper (Echo Park, Victoria Garden Collection). I used a Tombow glue pen to add the glitter (oh, glorious sorbet glitter) to the scallops. I REALLY love that part! this is awesome! love the glitter--going to have to give it a try!!! It kills me how many years I spent not liking orange - I think it might be becoming my favourite. My teenage self would be horrified. Must seek out this glitter! Who wouldn't love your glitter! Fab! Cute! Love the glitter color!